A very local place, shared with us by our friend Tati who lives on the island. Love, love this place! 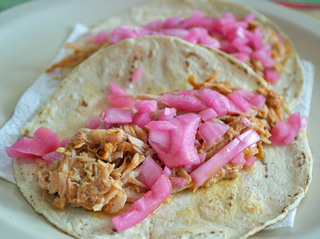 We had the cochinita pibil tacos which were deeeee-licious! 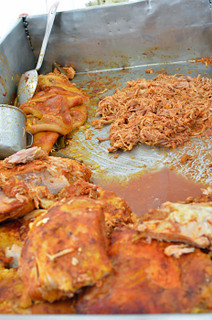 The meat was oh-so-tender and flavorful. Total bill for 5 tacos and 3 sodas was Mex$120 (roughly US$10). OMG, super cheap! But super delicioso! Thank you, Tati for introducing us to this place. You are my go-to gourmet guide!